The United States is one of the most important agricultural producers in the world. It has a very large domestic market and is the world’s largest exporter of agricultural products. Indeed, the share of US agricultural production exported is more than double that of any other US industry and the trade surplus in agricultural products acts as an important stimulus to the US economy. Thus, US agricultural policies exert a strong influence on world agricultural markets. The United States maintains an array of agricultural policies with goals that range from the traditional objectives of stabilising agricultural production and supporting farm income to those that have more recently increased in importance, such as assuring adequate nutrition, securing food safety, encouraging environmental protection and facilitating rural development. This study analyses and evaluates US agricultural policies, focusing on the Food, Conservation, and Energy Act of 2008, in the context of developments in agricultural policy that have taken place in the United States since 1985. It looks closely at five US Farm Acts: the Food Security Act of 1985; the Food, Agriculture, Conservation, and Trade Act of 1990; the Federal Agriculture Improvement and Reform Act of 1996; the Farm Security and Rural Investment Act of 2002 (2002 Farm Act); and the Food, Conservation and Energy Act of 2008. 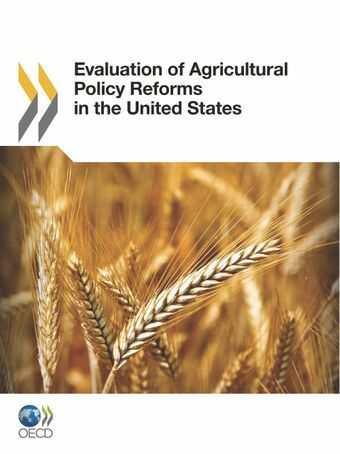 This study also discusses several emerging issues and challenges for US agricultural policies, and offers key policy recommendations.